Proceeds to benefit Travis Mills Foundation. 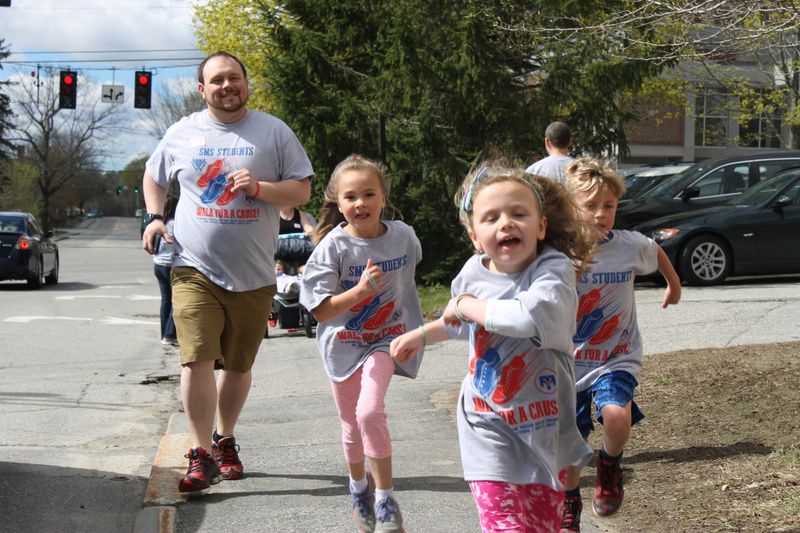 The second annual St. Michael School and Travis Mills Walk-athon was held May 3 during the school day. 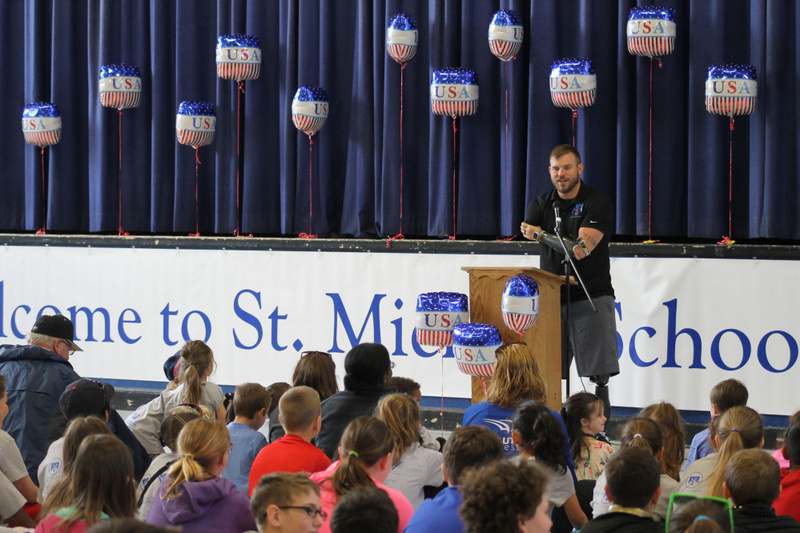 The St. Michael School community came together to raise funds to support The Travis Mills Foundation, and prior to the walk, students gathered pledges for the event, according to a news release from the school. Students in grades pre-k and kindergarten walked 10 laps, equaling four miles, students in grades 1 and 2 walked 15 laps, equaling six miles, students in grades 3 and 4 walked 20 laps, equaling eight miles, and students in grades 5 through 8 walked 25 laps, equaling 10 miles. Students had the entire day to complete their walk, but their determination and with enthusiasm and cheers from Mills himself, students had finished by lunch, according to the release. “We all need inspiration, hope and motivation and the students of this school supply me that,” said Mills, according to the release. 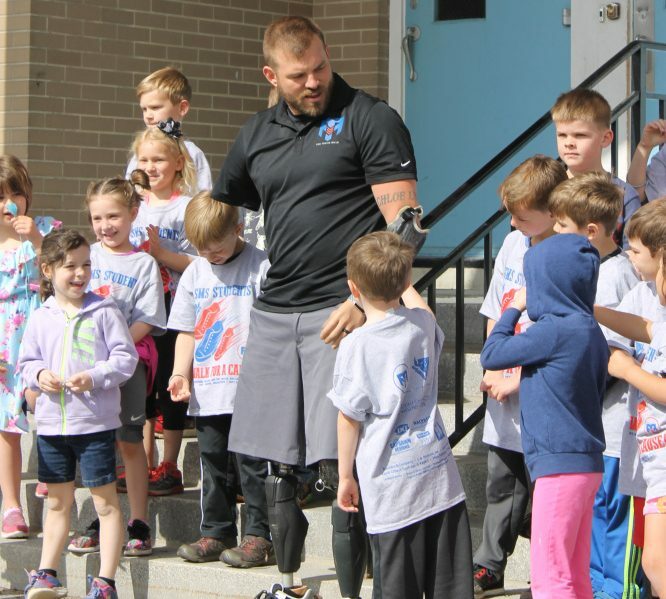 “That’s the best part about being Travis Mills … having people behind me, supporting me every step of the way,” Travis explained in a greeting to the school community before the walk began, according to the release. “It’s an amazing feeling knowing we’re helping our veterans who served our country. They deserve a place like the Travis Mills Foundation for all they have done for us,” said Kyle Douin, an eighth-grader at St. Michael School, according to the release. “It’s been a feel-good kind of day” said Madeline Levesque, another eighth-grader at the school, according to the release. “I can’t wait to go home and tell my daddy how much fun today was” said Bryce Ryan, a kindergarten student at the school, according to the release. A barbecue lunch was provided to all in attendance. The funds raised from the walk-athon will help sponsor wounded veterans and their families’ rehab at The Travis Mills Foundation.